If you’re marketing on social (and we hope you are! ), your primary goal should be to connect with users. But this isn’t just for its own sake – ultimately, it’s so that when someone makes a purchase, your product or service is what they buy. Pinterest gives users a format to engage with your content and become brand advocates, but it also helps them connect directly to your products. Keep reading to learn more about building your Pinterest audience, and creating content to keep that audience engaged. 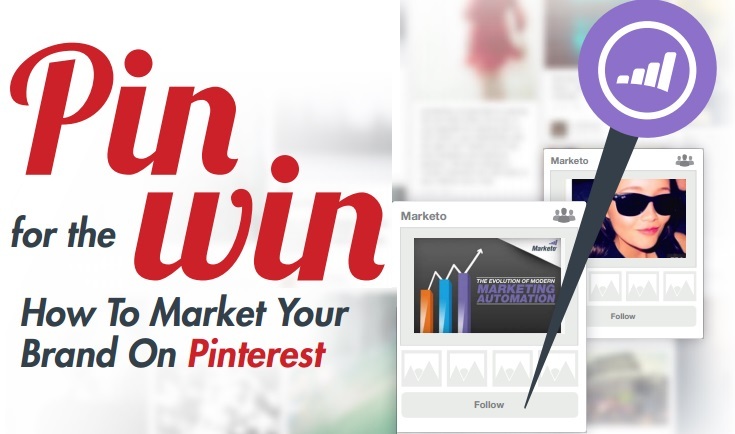 To take an even deeper dive, check out our ebook “Pin for the Win: How to Market Your Brand on Pinterest”. According to Search Engine Watch, there were half a million brands on Pinterest as of 2013 – but that doesn’t mean it’s too late! While some brands may be concerned that Pinterest’s “fit” for their brand, in fact brands from travel, fashion, home improvement, tech, and CPG (consumer packaged goods) have all been successful with Pinterest. But what sets Pinterest apart from Facebook and Twitter? The bottom line: Facebook and Twitter users visit those sites to socialize – to check in with friends and start conversations. But Pinterest’s 70 million users log in to discover a new recipe, or outfit, or even a clever graphic. As a brand, this is your chance to get discovered, and to connect with them on an emotional level. Rather than simply posting content around your products, post content that speaks to the lifestyle, narrative, and aesthetic associated with your brand. Add “Pin It” buttons to your website and blog. This allows Pinterest users to pin your content directly to their Pinterest page with one simple click! Install a Pinterest tab on your Facebook page. Once installed, your Facebook fans can interact with your Pinterest page without leaving the Facebook window. Tweet your pins. Simple hit the “Post to Twitter” button when you pin a new image. Want to learn more about Pinterest marketing? Be sure to attend our free webinar at 10am PT today! Join ShareRoot’s Co-Founder/CEO Noah Abelson, and Client Happiness Specialist Ben Miller to find out how YOUR brand can get discovered on Pinterest. Register here!